Haven’t been to Thailand yet? What are you waiting for? Over 30 million people visited the country last year for a reason. 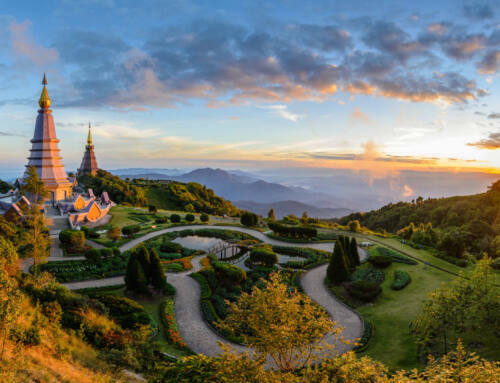 There’s so much to do and see in and around Chiang Mai. Whether you’re an adventurous soul or you’d rather spend your Thailand vacation experiencing exotic luxury, there are things to do and see. Let’s look at 10 fun things to do on your trip. There are many ways to travel during your Thailand vacation. 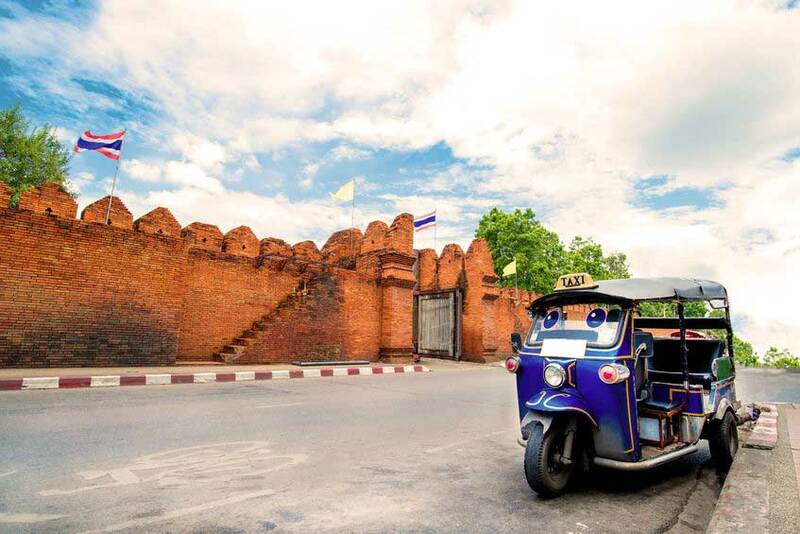 But don’t miss out on your chance to ride a tuk tuk. No, it’s not a strange, furry animal. A tuk tuk is similar to the Indian rickshaw, but decidedly its own mode of transportation. It’s a narrow 3-wheel open motorized vehicle. Combining the sight-seeing benefits of a trolly with a compact size, it allows your driver to zip around the streets fast. With it, you can go to places that larger vehicles couldn’t. When you venture out from your Luxury Eco Resort in Chiang Mai, it’s one of many ways to get around town. Love Thai food? So do we. Why not learn to cook it yourself. While on your Thailand vacation, sign up for a cooking class. They’ll take you through the prep work and cooking techniques in a personable and laid back environment. Laugh along with new friends as you attempt techniques. But by the end, you’ll have an amazing dish to enjoy and share. Visiting the temples is one of the top things every person wants to do on a Thailand vacation. They truly are a sight that you must see in person to grasp the magnificence. Intricately designed, they they are a marvel to behold. Have you ever been curious about what a monk’s daily life is like? Why not ask? As you tour many temples and grounds in Chiang Mai and the surrounding areas, many monks will happily speak with you. Ask them questions about their routines, duties and spiritual path. Is your palette a bit sheltered with your home country’s native cuisine? It’s time to branch out. Many experts believe that insects like crickets will be the food of the future around the world within about 50 years. In this regard, Thailand’s ahead of us all. In Thailand, insects are just part of daily meals and an Eco-friendly and cost-effective way to get enough protein. They’re commonly fried in a wok with traditional spices and then served as a snack with a cold beer. You could order an assortment at a bar. Be sure to try them all. While on your Thailand vacation, share in the locals’ love for Muay Thai, which is like boxing with a twist. It’s known as the “Art of 8 limbs”. Don’t think you have 8 limbs? Think again. Muay Thai utilized the whole body of elbows, knees, feet, and fists to score points and take down an opponent. It’s considered one of the most difficult martial arts to master. You’ll soon see why. You’ll cheer, cringe and experience pure amazement as you watch combatants seek to overpower one another. A Thai massage is unlike any other. It’s not for the faint of heart, but it will leave you feeling realigned, rejuvenated and energized. It may also leave you sore — in a good way — like after a challenging yoga session. Several positions – Face down, face up, sitting, side, back, etc. To get the most out of a Thai massage, you must completely relax and surrender control to the masseuse as they move your body. Where else can you bathe an elephant? And wouldn’t you want to experience this at least once in your lifetime? Visit the Elephant Nature Park close to Chiang Mai where former abused or work elephants are rehabilitated and cared for. Many of the elephants love people. The park has set up bathing stations where you can get wet with the elephants as you pet and bathe them. Or if you’re not into getting wet, you can visit the feeding stations. If your heart goes out to animals in need, you can take your passion a step further by joining a mission group that helps with reforestation and vaccination efforts in the area. 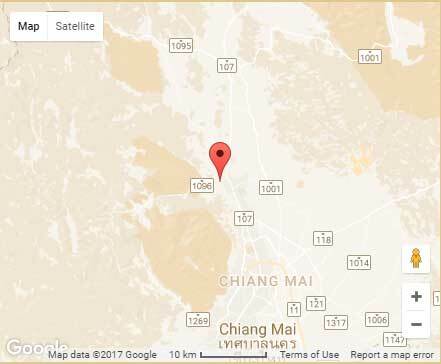 When you visit Chiang Mai, you’ll have so much to do in the city, but don’t forget the massive jungle beyond. Plan a day or two, hire a tour guide or book a group tour. See the sites. Feel the exhilaration of walking across rope bridges or standing at the top of a gorge. Watch the monkeys play. Listen to the liveliness of the jungle. Do you love watching how things are made? Do you admire the skills of the artisan? Then you’ll want to tour the Bo Sang Handicraft Centre Umbrella factory. Take more than memories home with you. Bo Sang umbrellas make great gifts for you or someone else. 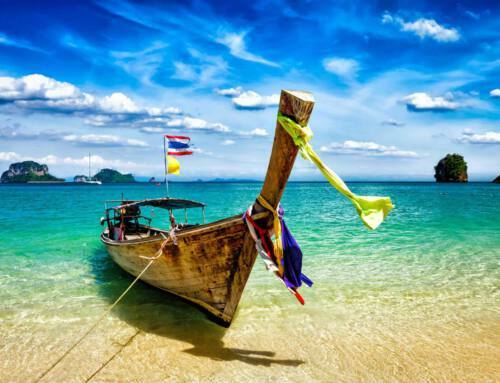 Don’t wait to plan your next Thailand vacation! See everything there is to see around the area and spend your nights in a luxurious suite at the Lana Thai Villa. Book your stay with us today!